I picked up a 6 inch crome cap on ebay for $10 this week. My friend Jeff also e-mailed that he has another 6inch cap for me. 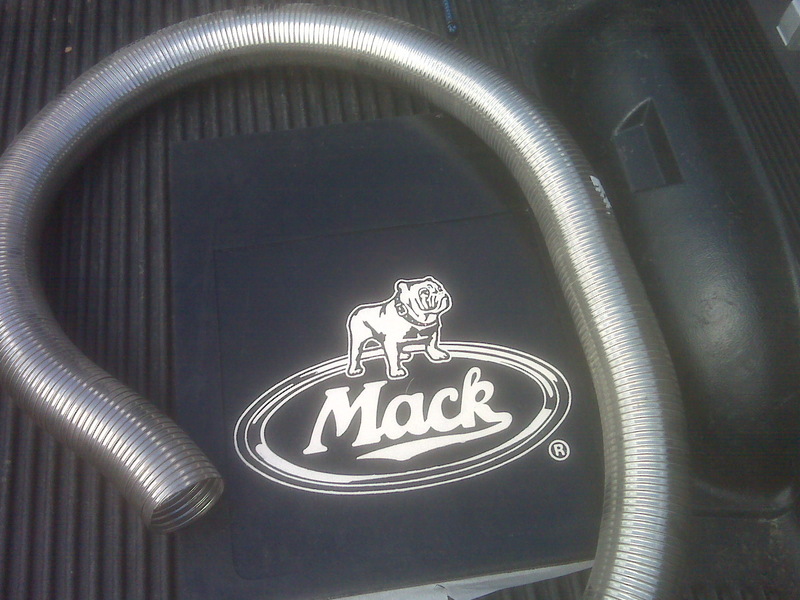 I also picked up the 4 inch flexible pipe I need to fix the exhaust. While I was out there I also picked up 4 Mack mudflaps. With the nice weather in Pennsylvania this weekend I was able to get the engine cleaned up. On Friday I washed her up. I ran out of tire and wheel cleaner but what I got done on the offier's side front wheel looked promising. I was also able to fix the broken rung (temporarily) on the wooden 24 foot extension ladder. I got both ladders wiped down and put back on. On Saturday I got the drivers side of the engine (minus the pump panel) washed. On Saturday afternoon we took her back down to the farm. The next rainy weekend we will be going down to the farm to finish waxing the roof, front and officers side. 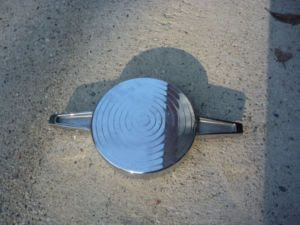 Picked up a 6 inch crome cap on e-bay this weekend for $10 plus shipping. Started a shopping list for Allentown in 2 weeks. Then it will be time to excersie the pump and see how she does. Thanks to the Chief at York Area United Fire and Lt. Lauer I secured 600' of 3 inch hose and 200' of 2 1/2 inch hose. We packed the hose on the truck last night.